The United States is increasingly becoming a tossup between being a land of inertia and unimaginable apathy versus a powder keg of hatred, violence, and civil war. 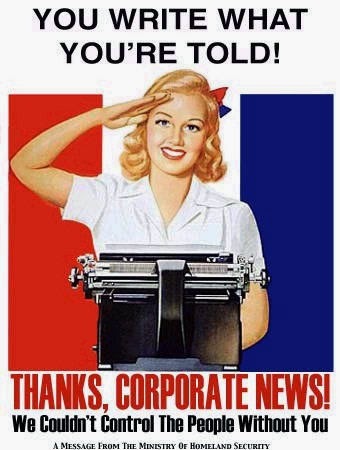 With this bizarre cultural crossroads – every bit created and initiated by an oligarchical government, corporate and banking superstructure, and a totally controlled media – it is no wonder why the news coming from America gets more and more peculiar with each passing day. While the rest of the world may have no right to throw stones, the truth is that the United States has become, in essence, Crazy Town. Perhaps this is why when, in January 2014, a retired US Army General stated that he would be willing to lead a coup against Obama with a contingency of around 250,000 Marines, virtually no one even batted an eye. To be fair, the date is over a year after Gen. Vallely’s speech and no coup has taken place. Yet, with American politics having become so volatile – with Conservatives so hate-filled against anything that does not represent the scorched earth of warfare, austerity, and greed they have come to know and love, Liberals radicalized to the point that no law is too oppressive to enforce politically correct newspeak, the concept of the “collective,” or humanitarian bombing, and the vast majority of the public who simply stare lifelessly into their television screen with whatever free time they have left – you would think that Vallely’s comments would have drawn more ire from the left or even more support from the right. After Iraqi security forces and Shiite militias backed by Iran were unable to liberate the Iraqi city of Tikrit from Western-backed ISIS forces in a swift manner, the US military establishment is now gloating in a rather obvious and even childish fashion that the Iraqi military has been forced to return like a battered wife to the arms of the abuser yet again. According to the Military Times, nearly 20,000 Shiite militias withdrew from the Tikrit battleground after the Iraqi government agreed to pause its cooperation and coordination with the Iranian government. The Iraqi government agreed to take control of all the military operations from here on. The United States imposed two conditions on the Iraqi government before it would agree to provide any assistance in the fight against ISIS that the Iraqi government end cooperation with Iran and that the Iraqi government assume command over forces on the ground. Yet it could easily be seen that whatever successes were being witnessed on the ground were the result of the lack of US involvement, not the result of it. The Iraqi military/government and the United States had been in the planning stages of an assault against ISIS-held positions inside Iraq since January 2015. Yet, despite “assistance” coming from the most militarily advanced nation on the face of the earth, Iraqi officials had complained that preparations for military plans were moving much too slow or either not at all. It appeared, for all intents and purposes, that the US was not as interested in eliminating strategic (to the Iraqi government) strongholds of ISIS as it was pretending to be in its press conferences and international speeches. As al-Qaeda forces seize power over the city of Idlib in Syria and begin to install a reign of Sharia terror on what is left of the population that was unable to evacuate, bombs rain down upon Houthi rebels in Yemen. Interestingly enough, both fronts are those for which the United States, NATO, and the GCC are able to hold their heads high in the Mockingbird mainstream media as examples of how the US and its allies stand for freedom and democracy across the world. Indeed, it is the tale of two rebellions. 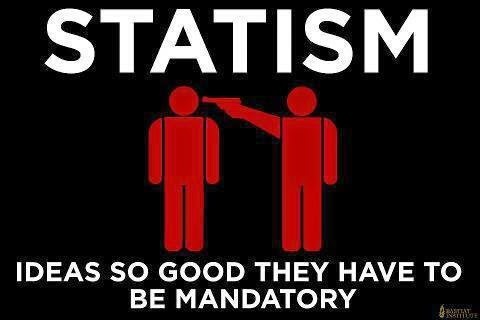 It is the unbelievable arrogance of a ruling class to claim to contradicting ideologies and justifications for the same act in front of an entire nation without fear of exposing their true agenda. Unfortunately, in 2015, it is more confidence than arrogance since there is undoubtedly empirical evidence of success, since the American people have fallen for virtually every excuse given for military conflict since the first World War. Indeed, the general public is now fully capable of lapping up any excuse for war fed to them by the ruling class and equally capable of forgetting that justification as rapidly as they are required to in favor of another. According to a report by Nigerian Watch, a UK-based magazine for Nigerian communities, hundreds of US Marines are now being stationed in Ghana as the Nigerian elections begin to take place. The Marines are allegedly being stationed in Ghana so as to be available to remove American personnel from Nigeria if the elections result in violence, a possibility that some analysts are expecting. Nigerian Watch reported that one of its sources has claimed that two Hercules C-130 airplanes touched down at Kotoka Airport a week ago and carried three helicopters inside. The source also allegedly stated that “There are well over 200 marines and they are camped at the airport. The helicopters are believed to be meant for the quick evacuation of Americans in Nigeria in the event of violence." In what should come as no surprise to anyone who has followed the Syrian crisis, the top US commander in the Middle East, General Lloyd Austin, has apparently recommended that the US military “shield” the new death squad terrorists being trained by the United States who are soon to be deployed across the country. Gen. Austin told Congress on Thursday that he was currently waiting on the White House's response to his recommendation. 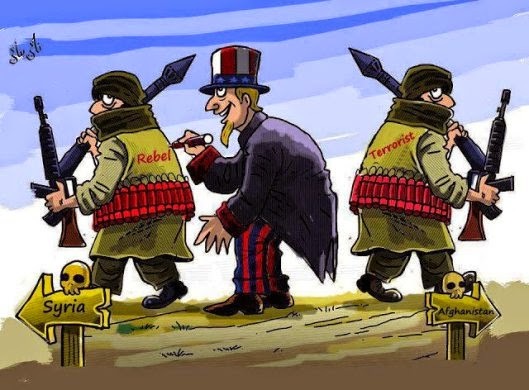 The US has been supporting terrorists in Syria since the beginning of the crisis in late 2010 by a variety of means, most notably military, political, and financial. However, the US recently announced that it is going to openly train several thousand jihadist fighters to be deployed against the Syrian government. Thus, it is very likely that it will be out of this new batch of terrorists that the United States, if Austin’s recommendations are accepted, will use as justification to begin engaging Assad’s forces. The U.S. Administration had been crowing for some time about a plan to train about 5,000 fighters per year for three years to fight against Assad in Syria and its February 19 agreement seems to be the public culmination of that specific plan. This assault on the Syrian government is, of course, being presented as an attempt to fight ISIS. Eileen Powell speaking at Coffee Etc. "Empowering Yourself Through Natural Health"
Eileen discusses a number of dangers posed to Americans as a result of the average diet as well as a number of ways in which we can empower ourselves using herbal and nutritional supplements to take charge of our own lives and our own health. Although not officially announcing his bid for President as of yet, all signs point toward a Scott Walker run in 2016. But, while the mainstream media, particularly the “conservative” outlets has been promoting Walker as one of the up and coming rock stars of the Presidential race and the “liberal” outfits have been criticizing him in all the typical areas, there are plenty of reasons to stay far away from Scott Walker and why this man, like Hilary Clinton, should never be president. For instance, fresh on the heels of the passage of his “right to work” legislation in Wisconsin, Walker and his fascist allies in the Wisconsin State House is now launching yet another assault on workers’ rights and the economic rights of the American people. This time, the guarantee provided by Wisconsin statute that workers receive 24 hours rest for every 7 days they work finds itself under attack from the Walker machine. The bill, proposed by Republican state Representatives Mark Born and Van Wanggaard, would create an exemption for workers to “voluntarily opt out” of the rest day and work more than seven consecutive days. While this bill is being presented as “workers’ choice,” the problem is that this exemption will open the door for employers to coerce employees into opting out of the rest day in favor of longer hours. Obviously, the result of repealing this legislation opens the doorway to a situation in which workers can be forced to work indefinitely without a day off. 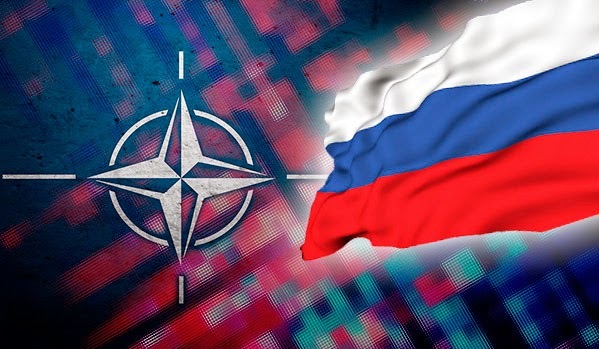 Do Russia/NATO Military Drills Signal Something Ominous? While most individuals assume that both historical and future events arise as a result of a series of massive and seismic actions, the truth is often that a whimper precedes the bang. 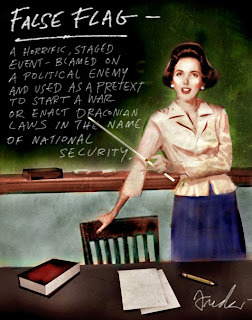 While many events are indeed sparked by a single definitive act, it is also true that, in the events leading up to the defining moment, rarely does the general public realize that they are walking along the path to such an event. Even rarer is the individual who realizes that this path was already carved out by high-level players in the halls of banks, corporations, governments, and secret societies long before the destination is ever reached. For instance, most scholars present the events leading up to World War I as an immediate reaction to the assassination of Franz Ferdinand by a shadowy semi-secret society that was not fundamentally connected to any other secret establishment. The truth, however, is that not only was the Black Hand a part of a Revolutionary Freemasonic structure and the war itself a carefully orchestrated plot that involved the personal attention and assembly of King Edward VII as well as British and French Freemasonic Lodges, but it was not solely a reaction to the assassination of Ferdinand. More importantly for the context of this article is the fact that, for thirty days after the assassination, life, for the most part, continued on without any apparent changes in the lives of the general public. 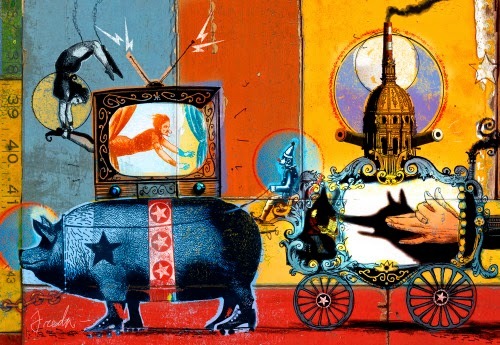 Indeed, in the month after the assassination of Ferdinand, the majority of the world’s population had returned to what has been described as a “dreamlike trance” of ignorance even as the declarations of war were being prepared behind the scenes. The time of this “dreamlike trance” – July 1914 – may very well bear relevance to the time in which we find ourselves today. While we must do our best to avoid sensationalism, the question of US-Russia relations, US imperialism, and the geopolitical imperatives of the US, Russia, China, and NATO compounded by the overwhelming ignorance of the general public is one that should cause some concern as to whether or not we find ourselves in a similar situation today. Brandon discusses new legislation in North Carolina attempting to remove the option of religious exemption for vaccination, the Syrian crisis, the war in Iraq, ISIS, Noam Chomsky, and the recent claims of "crimes against humanity" leveled against the Iraqi military. Brandon also discusses US support for ISIS and the nature of the terror group. As the National Guard trains with other civilian agencies to react to a natural disasters, gun confiscation is one of their training exercises. But due to pushback from the American people they have now changed the name to door to door "wellness checks". It's important to show this video to all service men, they need to speak out about these illegal activities and refuse to participate if asked. National guardsman are the last line of defense, it is important to educate them so they will not be pawns in a federal government gun confiscation program. In yet another “the collective over the individual” move from Barack Obama, during a public meeting about campaign finance reform in Cleveland on Wednesday the President floated the ideaof compulsory voting in the United States. Obama cited Australia and other countries with such laws as an example of ways in which the idea could be implemented. Of course, in Australia, citizens who do not vote are subject to fines and even imprisonment but that is no matter to Obama since fining and imprisoning individuals for refusing to become part of the hive, purchasing private products, etc. has been a hallmark of his administration since day one. Funny enough, Obama suggested that one of the answers to the corrupting influence of money over American elections was not to end the practice of following horrendous rulings like Citizens United or to impose more regulations on political campaigns and donations, or even public funding of elections. No, Obama’s answer to the fact that Congress and the President are all available to the highest bidder is to force the American people to vote for them – whether they like it or not. The recent hysteria surrounding John Kerry’s remarks regarding the necessity of negotiating with Bashar al-Assad has provoked both criticism and praise from a number of very different quarters. Unfortunately, however, the opinions of those up in either arms or exaltation are largely the result of misreporting, war psychosis, and simply reading headlines instead of articles. While the chorus of the usual suspects of Neo-Con rightwing warmongers and Humanitarian Bomber/R2P leftists erupted in anger at the very thought of the United States inching away from total war in Syria, other commentators and analysts erupted for joy at what they saw as the US State Department tacitly admitting that they had lost the war and that they were going to be forced to accept Assad as the legitimate Syrian leader. Both sides of the issue could largely agree the remarks meant that the United States was coming to terms that Assad had outlasted the attempts of the US to oust him. Unfortunately, both sides were completely wrong as only a further reading of any mainstream article would have demonstrated. Most likely, the Western press was attempting to capitalize on the nine-day absence by Putin in order to sow seeds of destabilization in Russian society and to decrease whatever faith in their governmental system that Russians may have. The propaganda blitz was straight out of the books of color revolution techniques that I have discussed in a number of my past articles. The difference this time, however, is that the media blitz seems to have been more haphazard and hastily put together. As it is, the only thing the Western media apparatus accomplished was a message to Putin that, if he remains out of the public limelight long enough, rumors will begin to swirl regarding his leadership, his health, and even his life. The Western media also succeeded in discrediting itself even more than it already has. Remember, it was the Daily Mail who reported via its “sources” that Putin had been “neutralized” and that he had been the victim of a coup d’etat. This report even carried photos allegedly showing a number of large white trucks parked near the Kremlin which were supposed to be the exit convoy in classic Romanov fashion. 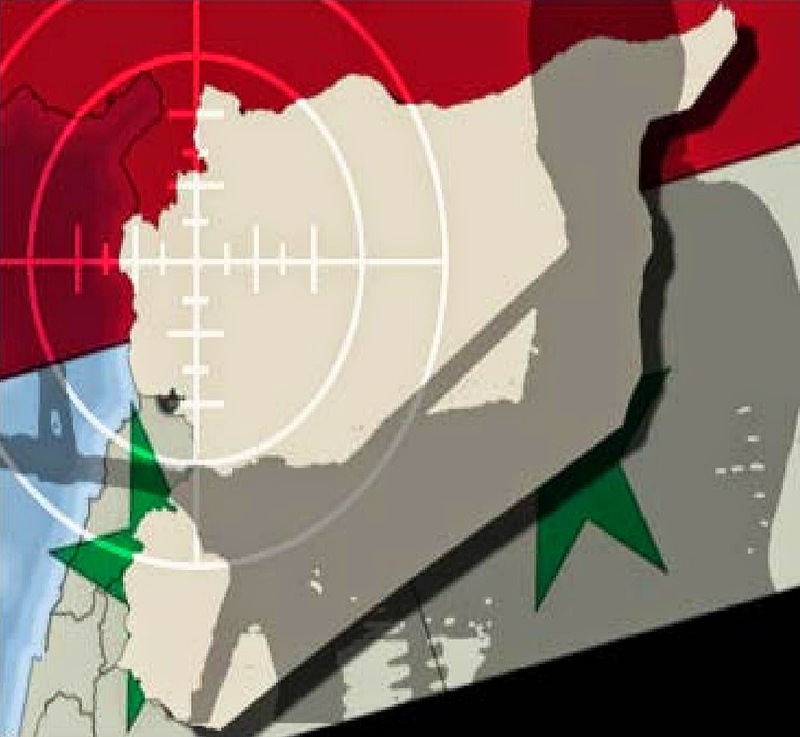 On March 17, 2015, the Syrian military apparently shot down a U.S. 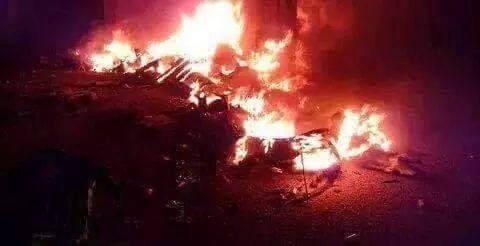 Predator Drone drove over the Northwestern city of Latakia in Syria. The United States has confirmed that it lost contact with a drone but has stated that it was unclear whether or not the drone had been shot down. Syrian state media has described the drone as “hostile” but has not given any further details. Sana news agency stated, "Syrian Air Defense systems shot down a U.S. UAV (unmanned aerial vehicle) north of Latakia Province." The Pentagon has stated that it is "looking into" the incident. It is important to note that, while some drones are used for reconnaissance, Predator drones are outfitted for both surveillance and warfare. This calls into question whether or not the drone (already a violation of Syrian sovereignty and territorial integrity) was preparing to launch such an airstrike against the Syrian government or whether it may have been a provocation to coax the Syrian military into shooting it down. Brandon discusses the duping of revolutionary anarchists and the Russian revolution. U.S. Senator Wants To Stop Iran From Taking Tehran! On Sunday, March 15 the author of the ridiculous and possibly treasonous letter regarding the potential agreement on a nuclear program between the P5 + 1 countries and Iran recently took to the airwaves to brazenly defend his position and his actions. 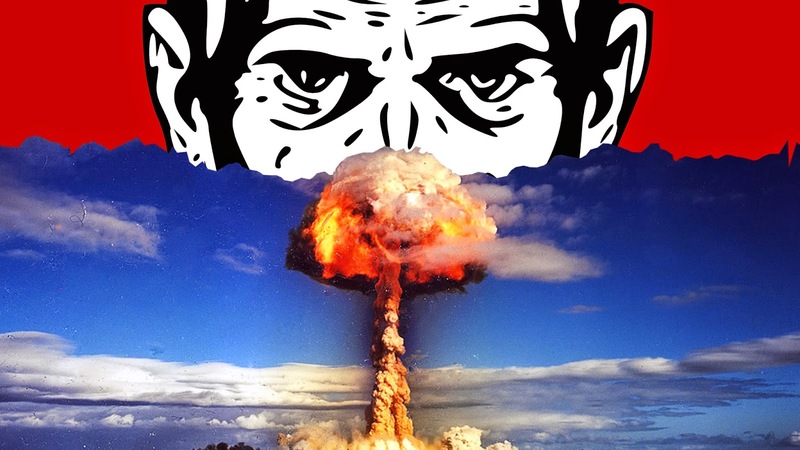 In a nation so terrified of being obliterated by a nuclear bomb from countries like Iraq, North Korea, and Iran that they are willing to allow Washington to push them into a position where they very well may be blown up by a nuclear bomb from Russia, infantile propaganda clearly reigns supreme. 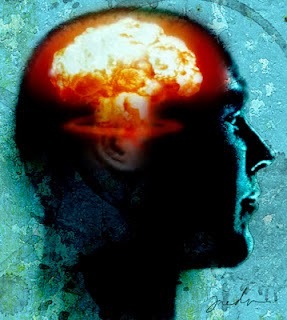 While the fact that there has been absolutely no evidence that Iran is attempting to do anything other than produce a peaceful nuclear program for energy and civilian purposes as well as the fact that Iran is a signatory to the Nuclear Non-proliferation Treaty and that Israel and the United States have repeatedly committed acts of aggression towards Iran are glossed over, deception and outright lies continue to be spread about the Middle Eastern nation. Americans no longer even question whether or not Iran is capable of producing a nuclear weapon or if they have the right to do so. The question is now how long it will be before Iran acquires this weapon and how long after that it will take for Iran to nuke Israel and the United States. Madmen like Benjamin Netanyahu are invited to speak to Congress and terrify Americans anew while Zionist Christians, convinced that Israel is America’s 51st state and anything the settler state may do has God’s stamp of approval, give rapturous applause. Such has been the scene for the last twenty years with each appearance drawing the same claims from Netanyahu that Iran is only 3 years (maybe even months!!!!!) away from detonating a nuclear bomb. With the recent and largely successful battle for Tikrit conducted by the Iraqi security forces combating Western-backed ISIS fighters who have controlled the city for some time, Iraq has once again forced itself into the brief headlines of international media. Yet the subsequent claims of war crimes committed by these security forces have also found their way into the public discussion, most notably in the West. Thus, there are a number of questions that surround the events on the ground and the manner in which they are being reported in the West that must be looked at closely in order to fully understand the events that are transpiring. Indeed, the manner in which the events unfolding in Iraq and Syria are reported in the mainstream Western press – if they are reported at all – is so convoluted, murky, deceptive and outright false that it is often difficult to blame any American for not fully understanding the details and particulars of the Syrian crisis and the spread of ISIS. 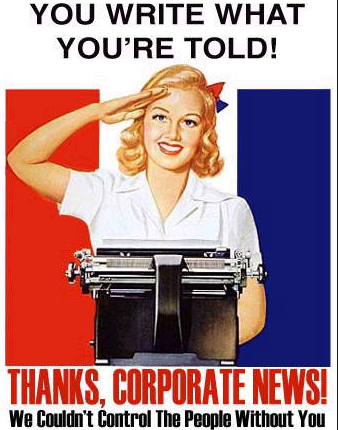 Even the so-called “independent” press – merely one public step further removed from major corporations, intelligence agencies, and government propaganda wings than the open corporate media – spins apparent criticisms of the administration and war in general while using the viewers’ own intellectual capacity against him and judo-ing him back in the same direction as the mainstream. Since the beginning of the Syrian crisis in late 2010, I have been writing repeatedly that there are no “moderate rebels” in Syria. Many other credible researchers and even mainstream news organizations, albeit significantly after the fact, have made similar statements in their own writings. In fact, I have even gone so far as to suggest that, if such a thing as a moderate rebel in Syria actually exists, then he must be brought forward for analysis. After all, such a rare and mysterious being must be thoroughly studied so as to determine if he is a freak of nature or if there are more than just one of him. Apparently, however, neither myself nor the other researchers mentioned above ever fully understood the process in which one becomes an alleged “rebel” and/or a moderate one. Thankfully, that question has been answered by the Obama White House and the mainstream media organizations that work as domestic propaganda outlets. Brandon and Derrick discuss Turkey, Syria, ISIS, the Middle East, Russia, and the Nemtsov killing. Brandon discusses the recent South Carolina National Guard drills of door to door "wellness checks," Syria, and Ukraine. 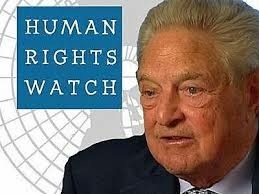 Putting its hypocritical and biased nature on full display once again, the alleged human rights organization, Human Rights Watch, was recently caught in an attempt to fabricate “evidence” of Assad’s use of barrel bombs in civilian areas for the purposes of further demonizing the secular Syrian government. On February 25, HRW posted a photo of a devastated civilian area in Syria with the tagline “Syria dropped barrel bombs despite ban.” The “ban” HRW is referring to is the ban on bombing civilian areas that applies to both sides in Aleppo after the United Nations stepped in to save the Western-backed terrorists from annihilation. 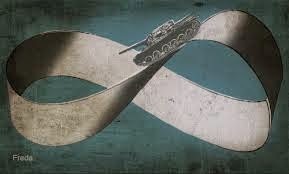 Assad’s forces had surrounded the city and had cut off a major supply route for the death squads from Turkey thus making the ultimate elimination of the jihadist forces a virtual inevitability. Human Rights Watch said Tuesday that the Syrian government had dropped so-called barrel bombs on hundreds of sites in rebel-held towns and cities in the past year, flouting a United Nations Security Council measure. In a report released Tuesday, the group said it relied on satellite images, photos, videos and witness statements to conclude that the Syrian government had bombarded at least 450 sites in and around the southern town of Daraa and at least 1,000 sites in Aleppo in the north. Brandon Turbeville's report on the recent South Carolina National Guard Drills Featured On Infowars Nightly News. "SC National Guard Drills Door-to-Door ''Wellness Checks''" , featured on Infowars Nightly News. In yet another example of the growing trend of the process of acclimatization of the general public to an open military presence on American streets as well as greater cooperation between the US Military and civilian law enforcement, South Carolina was recently the scene of a statewide “emergency preparedness” drill that incorporated both of these aspects in a visible form. 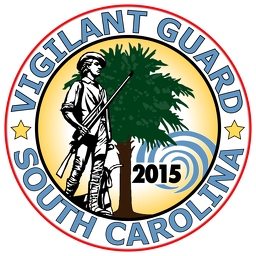 On March 7, 2015, the state-wide drill, entitled Operation Vigilant Guard, took place under the pretext of preparation for the inevitable destruction a hurricane would bring to South Carolina. According to reports in the local media, the drills were based on the premise of the landfall of a Category 4 hurricane and “how they’d respond to get citizens help” in such an event. In the Florence area, there were at least 400 hundred military personnel involved in the exercise. All in all, however, around 2,000 military personnel participated state-wide and 5,000 participants were involved from South Carolina emergency management Divisions and county divisions of Emergency Management. 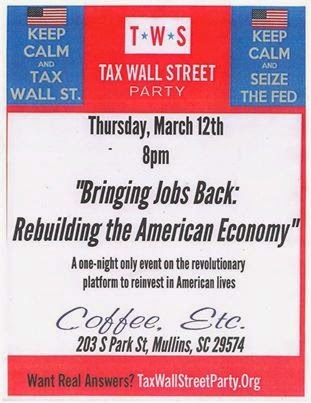 Dylan Shelton and Eric Metts of the NC chapter of the Tax Wall Street Party will be presenting a series of economic demands that will bring jobs back to the United States, fight the control of banks over our lives, and protect the social safety net on March 12 at 8pm at Coffee Etc. This will not be the typical Republican and Democrat talking points. This presentation will show a way forward that will benefit all of us. The presentation will be titled "Bringing Jobs Back: Rebuilding the American Economy." A one-night only event on the revolutionary platform to reinvest in American lives. The event will take place at Coffee Etc. in Mullins, S.C. at 8pm. The address is 203 S. Park St. Mullins, S.C.
No, this is not a joke. Mainstream outlets are actually suggesting that climate change is responsible, albeit indirectly, for the creation of ISIS and the scores of Western-backed terrorists flooding Syria as well as the now international military involvement in the war. This is merely the latest silly narrative being promoted by the likes of Slate, Wired, The Telegraph,NBC, and The Guardian among many others. By now, it’s pretty clear that we’re starting to see visible manifestations of climate change beyond far-off melting ice sheets. One of the most terrifying implications is the increasingly real threat of wars sparked in part by global warming. New evidence says that Syria may be one of the first such conflicts. We know the basic story in Syria by now: From 2006-2010, an unprecedented droughtforced the country from a groundwater-intensive breadbasket of the region to a net food importer. Farmers abandoned their homes—school enrollment in some areas plummeted 80 percent—and flooded Syria’s cities, which were already struggling to sustain an influx of more than 1 million refugees from the conflict in neighboring Iraq. The Syrian government largely ignored these warning signs, helping sow discontent that ultimately spawned violent protests. The link from drought to war was prominently featured in a Showtime documentary last year. A preventable drought-triggered humanitarian crisis sparked the 2011 civil war, and eventually, ISIS. The Iraqi Army has once again claimed that it has downed a NATO aircraft that was providing military assistance directly to ISIS according to Iranian FARS News Agency. This time, the Iraqis are claiming they shot down a US Helicopter in the Al-Bagdadi region in Anbar Province last week. The reason for shooting the helicopter, according to FARS and, apparently, high-ranking Iraqi officials, was that the helicopter was carrying weapons to ISIS. Head of the Iraqi Parliament’s National Security and Defense Committee and senior Iraqi legislator, Hakem al-Zameli has stated that the Iraqi government is constantly receiving reports from its security forces that NATO aircraft is dropping weapons to ISIS. Zameli claims that the reason for the airdrops is that NATO wishes to prolong the situation in Anbar Province for geopolitical purposes. Indeed, the claims come only one week after a video was released purporting to show a US Chinook helicopter dropping at least two boxes of weapons to ISIS and flying a low altitudes unmolested over ISIS-controlled territory south of Fallujah. It is reported that the footage was filmed by Hezbollah Brigades based in Iraq. Yet another extremist brigade in Syria presented by the United States and mainstream media outlets as “moderate” has now officially defected to the side of ISIS and al-Qaeda. Harakat Hazm, propagandized to the American public as the face of the “moderate rebellion” in Syria has been the recipient of a large quantity of American weapons in the past including TOW anti-tank rockets and other arms. According to mainstream outlets like the Daily Beast, Harakat Hazm was one of the few terrorist organizations actually trusted by the White House, hence the heavy amount of weaponry provided to them by the Pentagon. As funding for the death squad forces began to dry up, the story goes, the beleaguered fighters were forced to join ISIS in order to stay alive in their fight against the secular government of Bashar al-Assad and their alleged fight against al-Nusra (ISIS/al-Qaeda). The truth, however, is that Harakat Hazm is nothing more than another branch of the jihadist extremists such as ISIS, al-Qaeda, al-Nusra, and the FSA. Even more so, Hazm functions more as a funnel of weapons provided by the West at taxpayer expense to the very terrorist organizations that the Western public is constantly propagandized to fear. Since Hazm is represented to the public as “moderates,” they are able to act as the public face of the “rebellion,” while the true recipients of weaponry go to their intended target – ISIS, et al. Eileen Powell will be speaking at Coffee Etc on March 6 at 8pm. The topic of her presentation will be "The Immune System" She will discuss the benefits of various herbs and supplements and the ways in which individuals may improve their health and quality of life while avoiding dangerous chemical concoctions of the medical world. She will give a primary focus to those supplements that will benefit the immune system in its job to prevent and heal the body of disease. Brandon discusses the situation on the ground inside Ukraine and Syria. Is The Nemtsov Murder The First Shot Fired In The Russian Spring? With the recent assassination of Russian opposition figure, Boris Nemtsov, both Russia and the world seem to yet again be standing at the edge of a dangerous precipice. Domestically, Russia must now contend with the turmoil that results any time a high profile political assassination takes place. Internationally, however, the killing of Nemtsov represents the possibility of a dangerous escalation in international relations since, at best, Western powers will undoubtedly seize upon the assassination as an opportunity to blame Putin directly and paint the Russian President as the next Adolf Hitler. 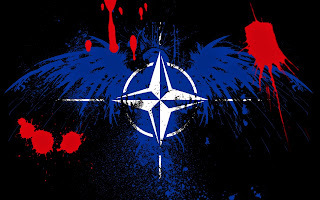 At worst, however, the assassination of Nemtsov may be the fruit of NATO destabilization tactics in the form of a false flag committed for the purposes of initiating a color revolution and/or other forms of internal disruption in Russia. Nemtsov, was apparently shot four times in the back as he was crossing a bridge in Moscow. It is unclear as to the exact location of Nemtsov’s death but reports claim that the bridge was in sight of the Kremlin. Reports also suggest that Nemtsov was shot with a pistol from a white car which subsequently fled the scene. It is unclear how many assassins were in the car but some reports indicate that “several people” got out of the car. 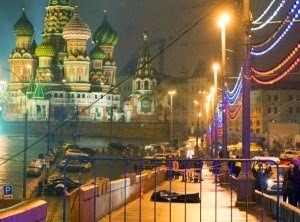 Nemtsov’s body lay conveniently on the ground exposed for photographers to take plenty of shots with the Kremlin in the background, drawing the obvious implications. Immediately after the news broke, Barack Obama publicly condemned the “brutal murder” and “called on the Russian government to conduct a 'prompt, impartial and transparent investigation'”. Obama’s comments were, of course, yet another example of rhetorical meddling in the internal affairs of Russia with intent to negatively affect world public opinion and, at the same time, addressing a world power that is itself equipped with nuclear weapons as if it were a vassal state. The statements by a President who has overseen institutionalized torture the world over, the jailing of whistleblowers, the assassination of political leaders, domestic political prisoners, and evendomestic torture and “disappearance” black sites is one that truly rings hollow.